Many of us want to explore the world, however, very few have the means and determination to do so. That is why a lot of young people decide to take matter in their own hands and pursue the life of travel writing. Travel writers can take you to the most distant locations on Earth, and all you have to do is read their blog. However, travel writing can be extremely exhausting for the writer, since at times you can be away from home for several months, or in some cases even years. But, travel writing took the art of writing and photography to a whole new level, combining two of the most beautiful professions. Nowadays you don’t have to try to imagine what the descriptions on paper look like in reality just based on the writer’s words, simply because there’s a photo just below the text you read. Google Earth is simply a must-have tool for traveling anywhere. It will allow you to explore the globe simply by moving the Big Blue Rock left and right with the swipe of your finger. To make it more fun and unpredictable, some more extreme adventurers are spinning the globe and blind-picking their next trip through this app. Google has recently updated it and released the 8.0 version several days ago, and with over 100 million downloads, you know that you won’t be making a mistake by downloading it for free on either Google Play Store or App Store. Trip Journal goes hand in hand with Google Earth. This could be by far the best journalism app for beginner travel writers. Trip Journal is integrated into Google Earth so that your friends and family may know your travel route and follow you on your path from their respective devices. Besides Google Earth, there are several other integrated services such as Instagram, Facebook, Youtube and Twitter so that you may stay in touch with your readers and followers. Trip Journal is available on the App Store as well. Now that you got to your destination, what are the must-see things in that place? What would be the most intriguing and appealing to your readers? One way to find out is talking to the locals, which would always be our first recommendation to every tourist visiting a new place for the first time. However, in some places trying to talk to the locals is not possible because of the language barrier, so that’s where technology comes to rescue. Trip Mayor is the Instagram of travel writing, there is no better way to describe it. With Trip Mayor you can create your own photo journal and fill it with pics you’ve made during your travel. Just like on Instagram, you can exchange thoughts on the places you’ve visited with your friends. Not only that, but you can get in contact with the locals and ask for interesting places nearby, and events worth seeing. Are you hungry of all this travel talk? Thinking about the exquisite cuisine wonders you will taste on your next trip? Even if you aren’t the biggest gourman, you should have this app on your phone because it makes life easier. Everplaces will give you the opportunity to plan out your meals and restaurant visits on your way to the next destination.You can even put in your input for the next travel writer to follow your steps and enter the fabulous world of foreign food. If you are an Apple fan, stop using whatever writing app you already have and get on the Day One hype train. Day One is without a doubt the best iOS app for any kind of journalism and short-entry texts. Its simplicity and incredibly well organized user interface put this app a class above others. While you can write your journal entries, this app allows you to place photos, markdown support, publish options and even provides a passcode lock in order to keep your ideas safe and original. Here’s an old-school one, straight from the creators of the biggest office pack ever, used by millions, if not billions of people. We all know of Word, the writing giant, and if you didn’t know, they made a phone app. Well, now you know. The Word app provides a range of versatile functions in order to enhance your writing skills, and lets you pinpoint the important parts of your text with traditional Word features such as bold, italics, underscore, and similar. If you ever used it on a computer, you shouldn’t have too much trouble adjusting to the mobile version on both Android and iOS. Google mail is the best email app for several reasons, but mostly because it’s been around for so long that as of February 2016 they have over 1 billion users. Most of us have used it at some point in our lives, so the transition to Gmail mobile app shouldn’t be too hard. If you haven’t used Gmail, you’ve never truly had the experience of exchanging info with such ease. With this app you are only one wifi signal away from contacting your friends and family without having to pay a dime for it, while on your trip of a lifetime. Some people just like keeping it all together, so with the addition of Microsoft Outlook you can be one step closer to closing the Microsoft circle. MS Outlook is Gmail’s top adversary, and for a good reason. Microsoft Outlook has integrated other popular MS Office documents (PowerPoint, Excel, Word), which allows you to do your writing on the go as well. However, since MS Outlook is far less popular than Gmail, the opportunities for using Gmail are far greater due to the integration of Google onto the mobile market itself. Here we close the Microsoft circle of mobile apps needed for travel writers, by including this sleek app for converting PDFs file to editable MS Word (.docx) documents. This app is useful for both your editor and you, in case you need to quickly edit your publications before uploading them to your portal. Its engine allows the conversion of both scanned and original PDFs, which makes it perfect for users on the go such as travel writers. Simply a joy for every app fan to use, due to its progressive design and integrated services such as Gmail and Dropbox. Just like any other high-class app, PDF to Word is offered on both Google Play Store and App Store. With over 100K downloads on the Google Play Store only, Able2Doc is the best converter on the Android market. Its simple user interface and the incredible speed at which this app converts files put it at the throne of PDF conversion kingdom. Since privacy is a big deal in the world of writing and editing, Able2Doc has its own conversion server, so you know that 24 hours after your conversion is done, nobody on this planet will have access to the file you’ve just converted. 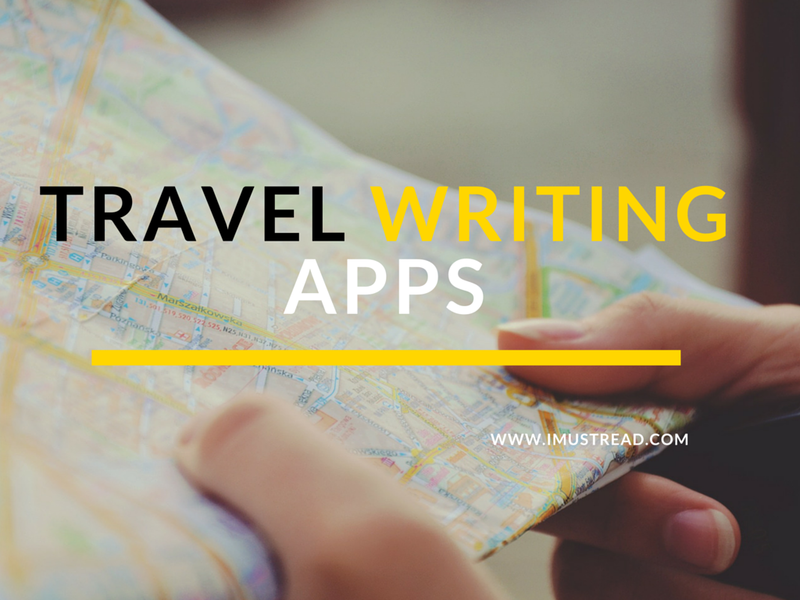 Now that you are all geared up with all the apps you could wish for successful travel writing, you can head out to the adventure of your lifetime, and share it with your readers as well! And whatever you do, by all means return home safe and sound! To pass the time traveling back home more quickly (because returns are often much less interesting than departures), read some fun eBooks with these top 10 Android eBook apps. Or, if you are an iOS users, you might want to see how to use an iPad for reading on the go with these 5 reading gadgets. Sandra Rodgers is a Community Manager at Cometdocs. Her hobbies include photography, writing, travel, and cooking foreign cuisine specialties.